Call to schedule your delivery when your tank reads 40% in a 250 or 60% in a 500. Keep in mind we deliver to the entire county and are in specific areas on each day of the week. 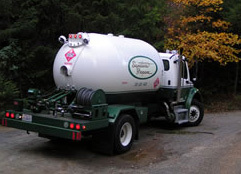 If you are very low on propane and need an emergency delivery there could be additional charges to send the driver to your area and/or perform a safety check on your tank. If your tank is completely empty there will also be a charge of $65.00 to do a leak and safety check. These charges are in addition to the cost of the propane. If your town is not listed, look at the delivery day of the closest town. If you are between two areas with different delivery days call our office to find out when we are in your neighborhood. Please shovel the snow away from your tank and place a stake to mark the tank location. 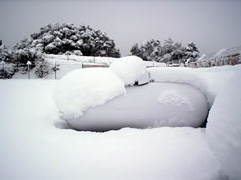 This will help our driver find your tank in the snow. Thank you in advance for your understanding and helpful hand. Deliveries will not be made in inclement weather if your driveway is unsafe for our drivers and/or equipment (this will be at the driver’s discretion).